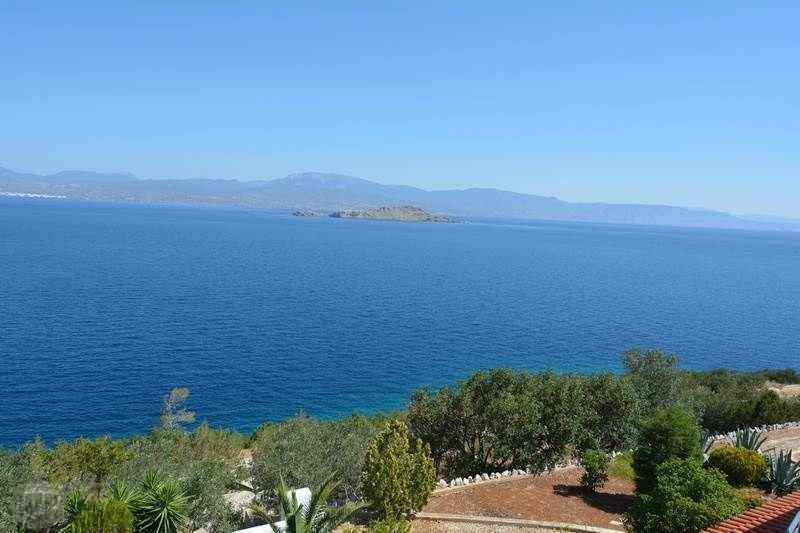 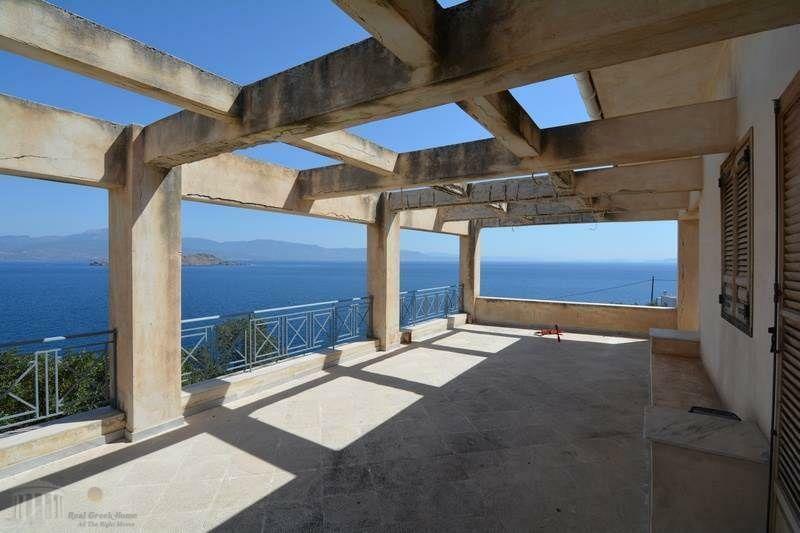 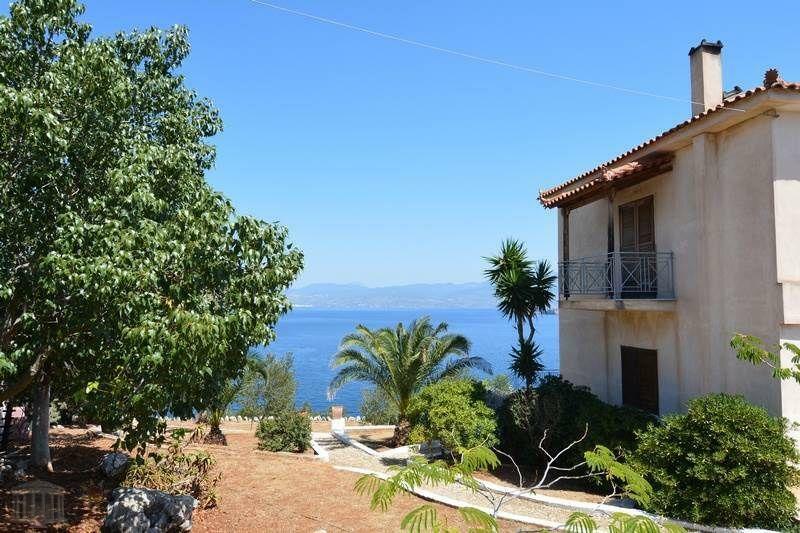 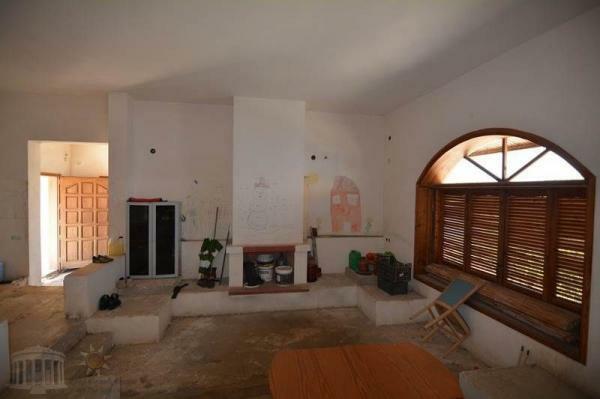 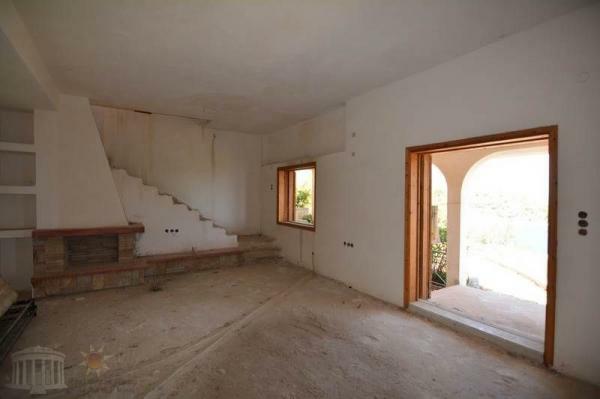 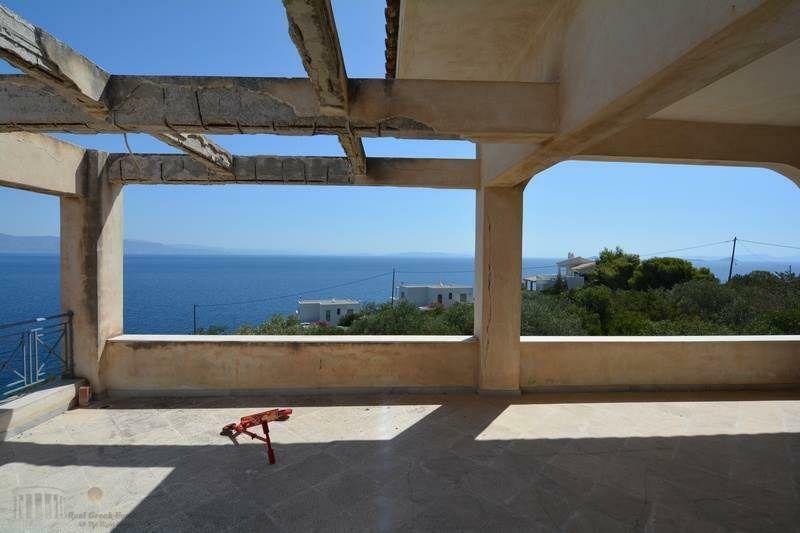 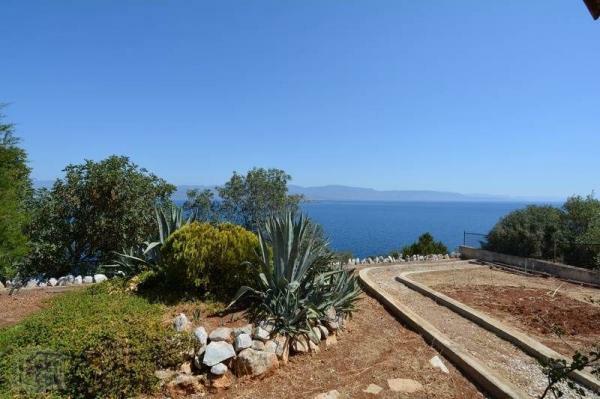 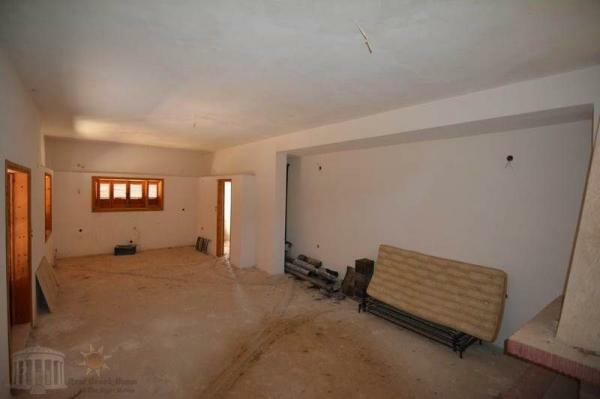 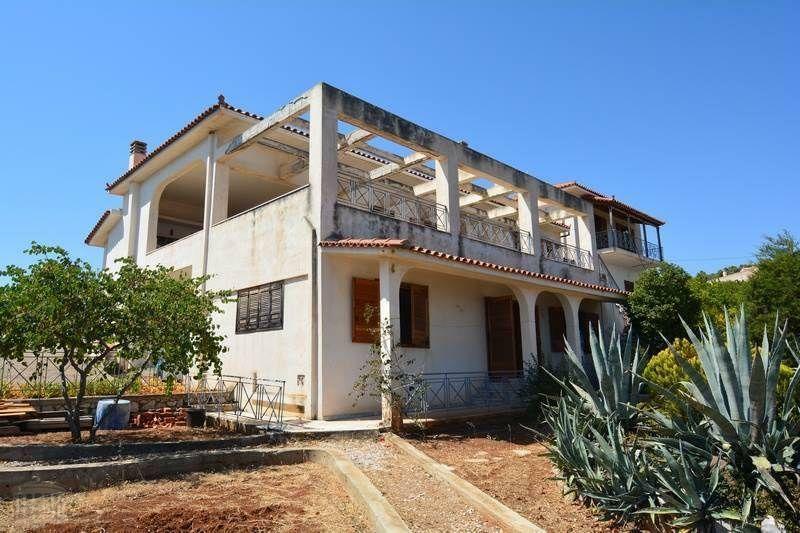 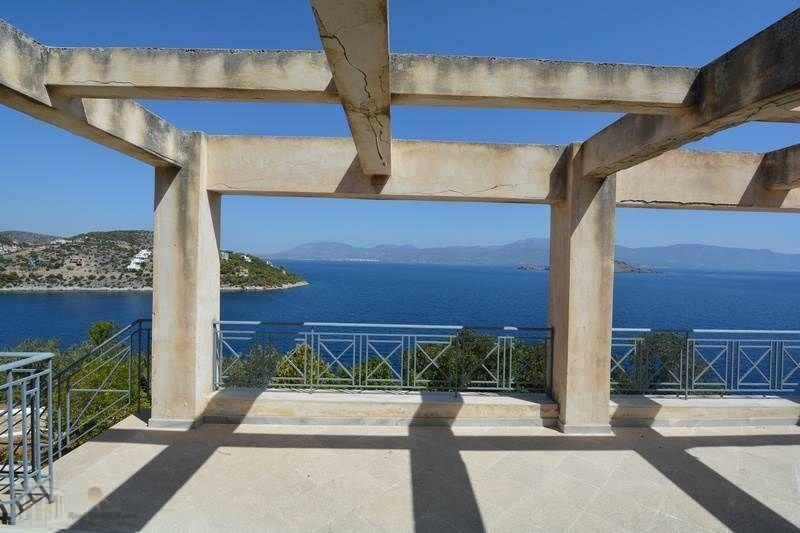 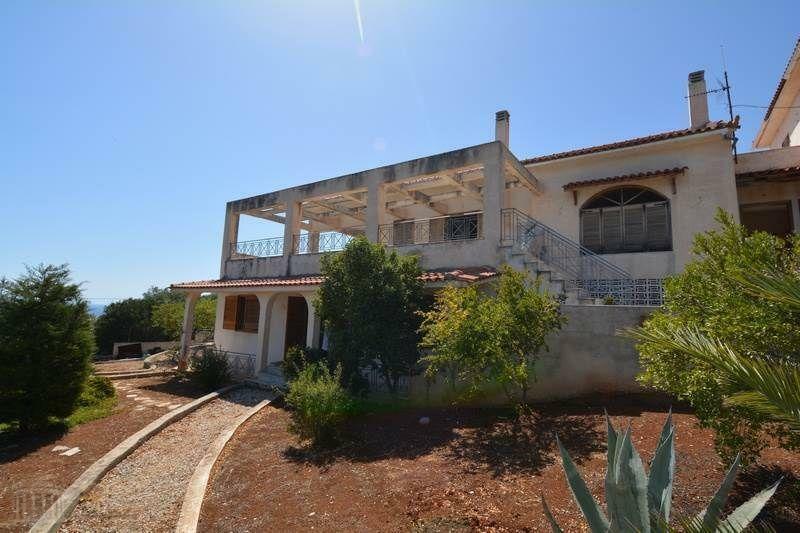 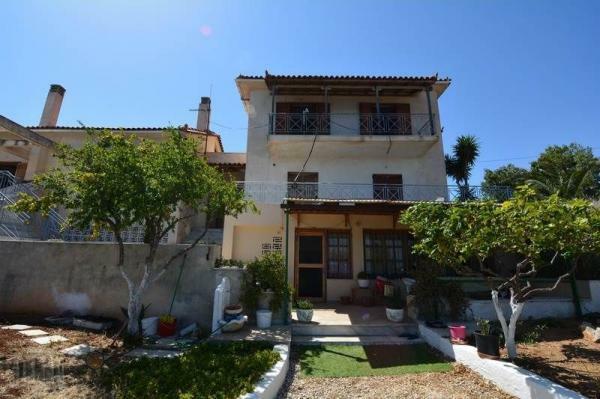 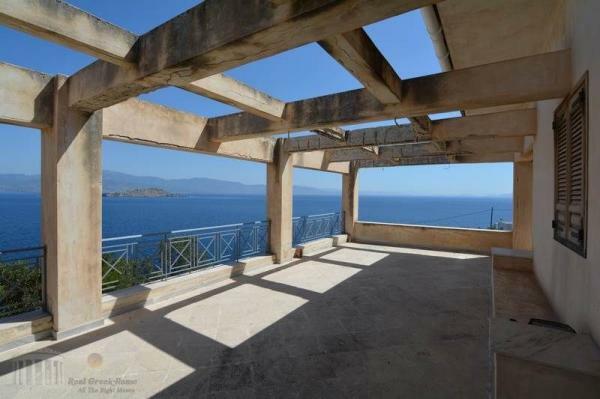 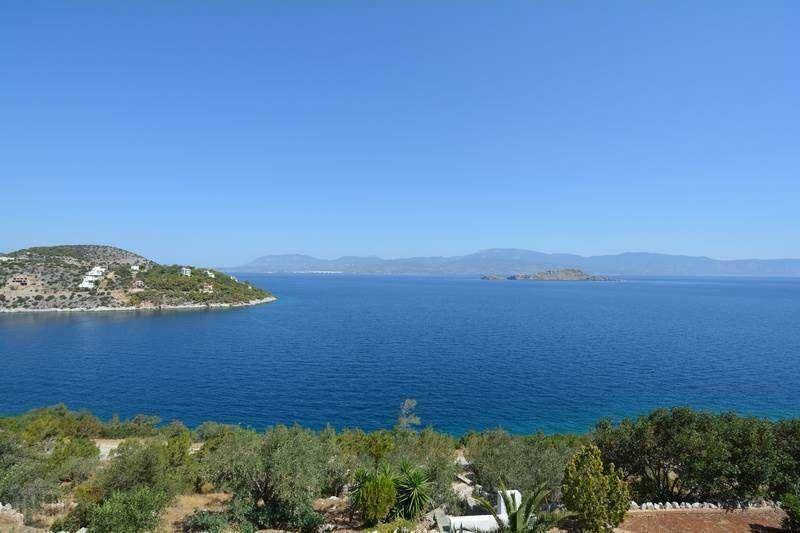 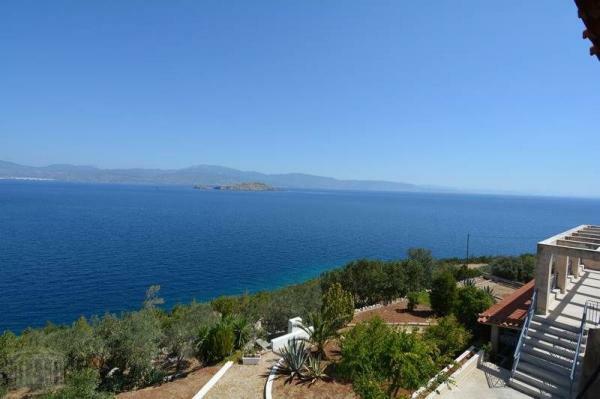 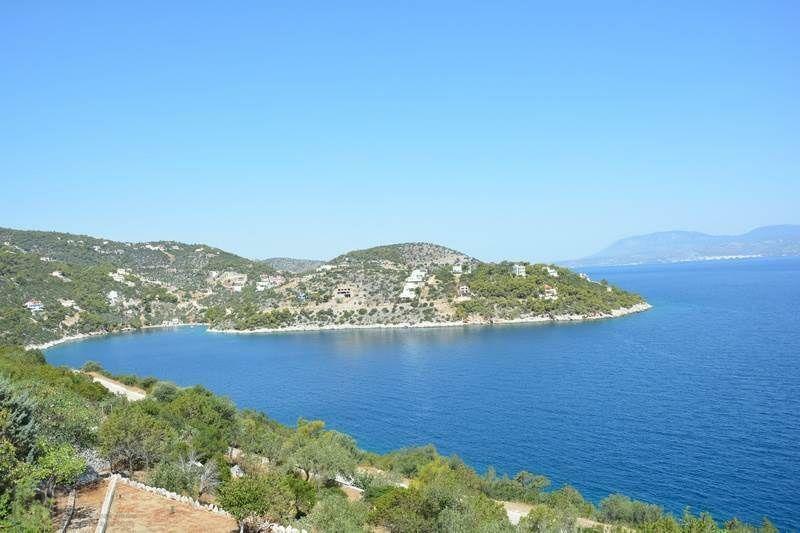 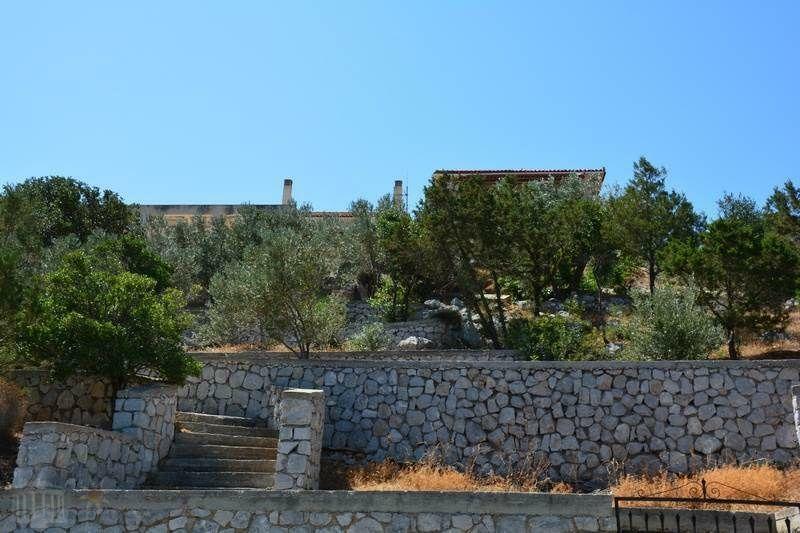 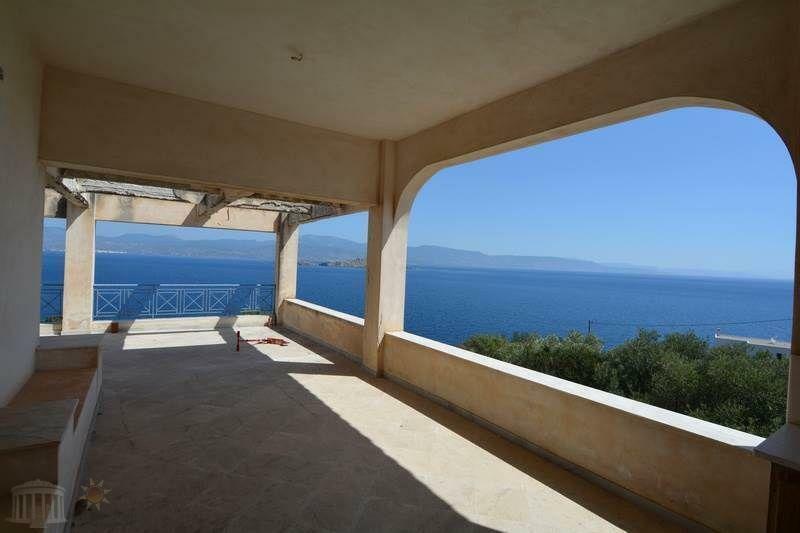 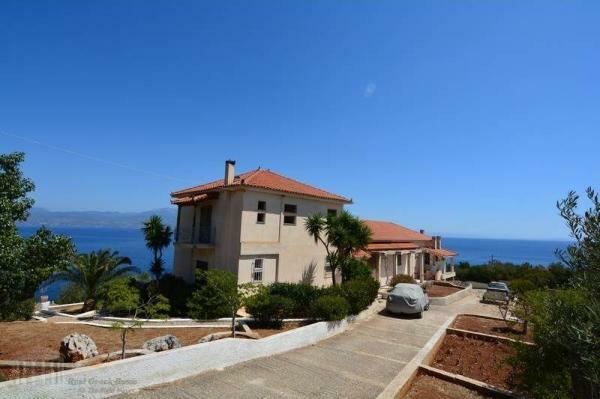 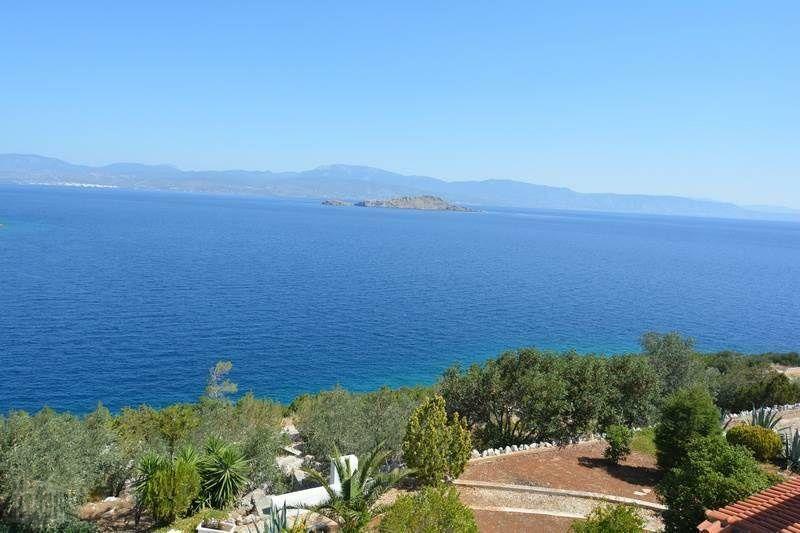 In front of the sea in the lovely area of ​​Soligias a villa with a total area of 380 sq.m. 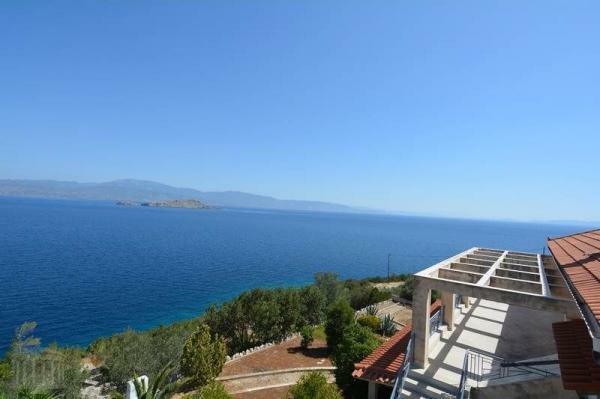 in its own plot of 3.000 sq.m., offering a magnificent 180 degrees sea view, is available for sale. 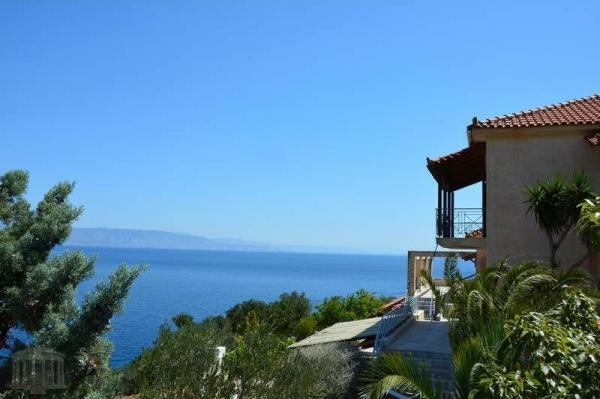 The villa consists of a total of five bedrooms, four bathrooms, one w.c and large patios and balconies in all rooms. 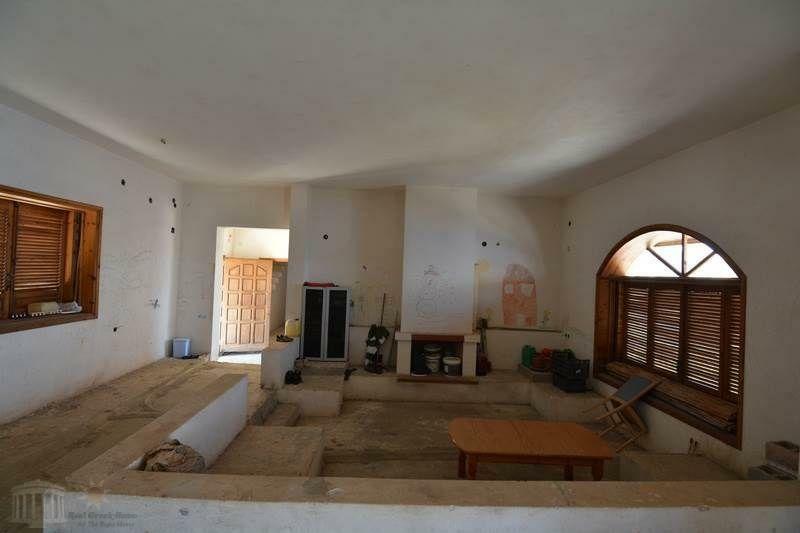 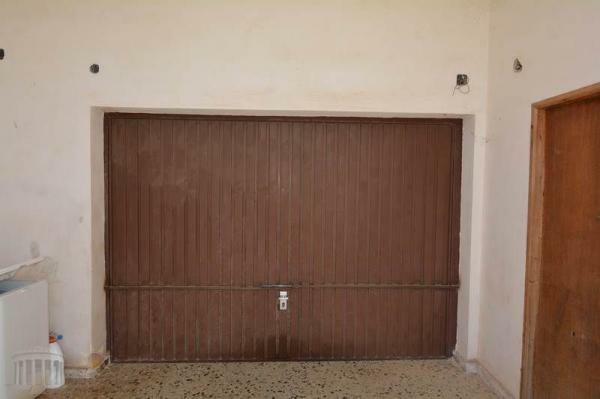 The residence also offers two living rooms with their own kitchens, a guest room with its own kitchen, a 100 sq.m garage and an 80 sq.m attic for storage use. The house is at the stage of coatings featuring hydraulic, electrical pipes and wooden frames. The surrounding area is planted with trees and landscaped with terraces, levels, fencing and stone fences. 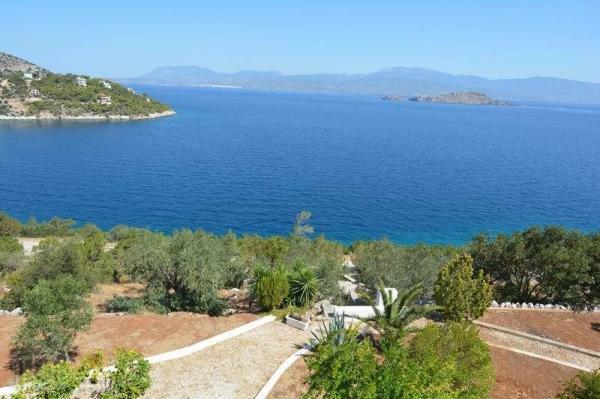 There is space available for car parking and a pool facility. In terms of location, the property is found at 1 km from the beaches, 10 km from Sofiko, 35 km from Epidaurus and 105 km from Athens.